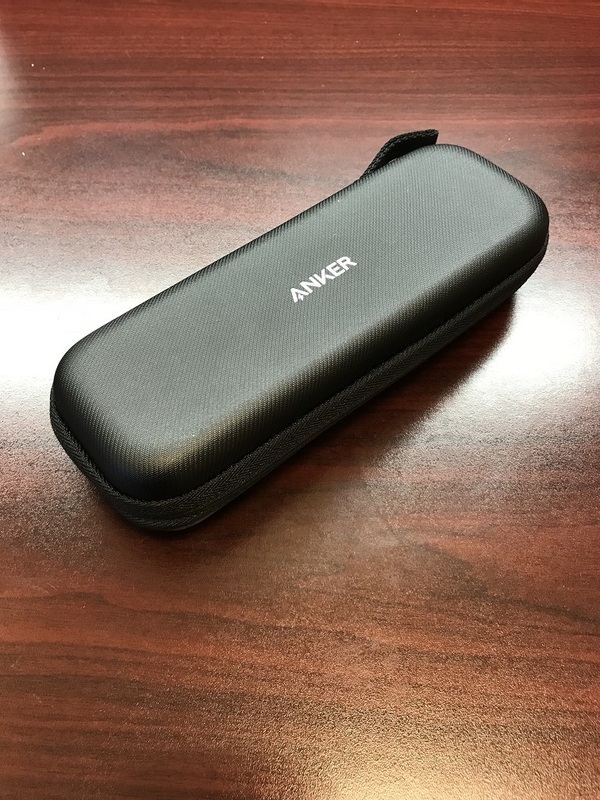 Received the official hard case for the Anker Powercore 2000 last week and have been using it daily. Its a great case for keeping your battery and cables organized when traveling or when you just want to keep them together in your work bag. Im currently using it with my Powercore Speed 2000 PD and fits the battery perfectly. One side of the case has a elastic band that keeps the battery snug and secured and the other side of the case has a mesh pocket to store small accessories like cables. The textured exterior of the case feels strong and durable There's also a loop strap attached to the case allowing you to attach it to a carabiner or hook. Exterior dimensions measure about 8 inches long, 3 inches wide, and 1 1/2 inches tall. Case is securely closed by a zipper that goes all the way around. Overall, I can see this case lasting me a long time. 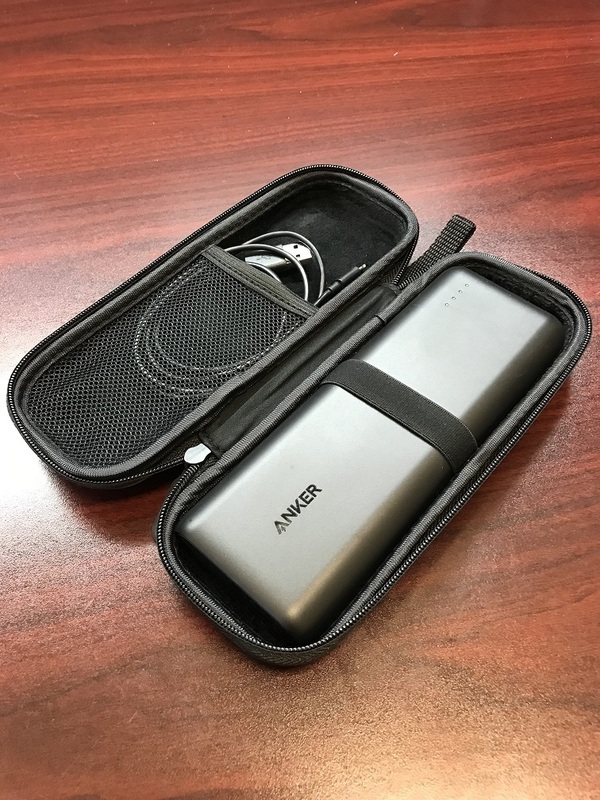 A definite for anyone that likes to travel with their portable battery and cables often. Can this case be closed while charging? That likely is a strange question so I'll clarify. I often have several cables with me so I can charge several devices simultaneously. But if I charge only one device I would like to keep the other cable(s) nicely stored in the case. Is that possible? It depends on what size cables you have... Based on the the pictures and comparing it to my Anker Case for my Soundcore 2 speaker, you may be able to hold 2-3 1-3 foot cables... if you are carrying 6 foot cables, you may only be able to hold 1 or 2 in the case.... it that makes sense. I know the new powerline+ii lightning cable is really thick so it does take up a lot of space. Yeah, that's clear. My cables are 2ft or less. What I want to know if I can close the case while one cable is used for charging. Meaning hanging outside the case. Great review! Thanks for sharing, also I might need to get one of these though. Do you find this case better than the travel pouch that it came with? Yup, I was able to store two 3ft anker cables in the case along with the battery; one micro USB and one lightning cable. Unfortunately, the case can not be completely closed if you have a cable attached to the battery but you can zip the case closed about 80% of the way ensuring the battery wont fall out while the cable is hanging outside. Is it better than the travel pouch? that depends on what your using it for... If you want more protection, this case will definitely deliver but at the cost of being a little bit bulkier than the travel pouch that battery normally comes with. The travel pouch is nice but this case does give it more protection in case you accidentally drop it or have hard objects in your bag that might scratch or dig into the battery. 80% closed is good enough for me. But if Anker reads this, they may consider my question as a request/suggestion for a small modification to the cases so the zipper can close 100% or closer to 100%.